This is a continuation of a previous post, now that I’ve had a little more time to think about it. 1) We’ve spoken about this and I know you want to come. 2) I want you to come and think you’ll be able to. 3) I want you to come (and want you to know that) even though I don’t think you’ll be able to. 4) We haven’t seen each other in ages, possibly years, and this is one way to let you know I still think of us as friends and would like to spend time in your company. 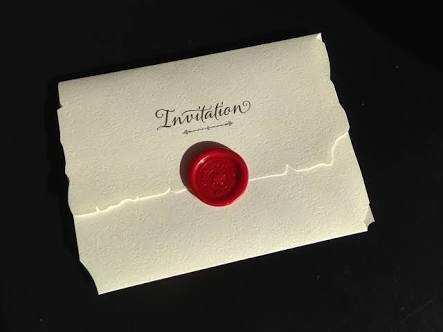 5) You, like me, might be a company hungry extrovert and therefore appreciate an invitation to an event that you didn’t have to organise. So, if you are invited to things by me and you didn’t understand, I hope you have a better idea now. To basically everything I do. Ever. 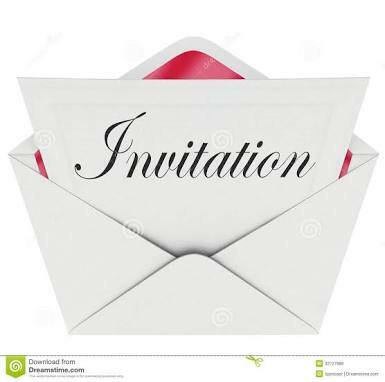 I have confused people over the past few months (possibly for years, I don’t know) with my mass invitations. If I’m doing it, you’re invited. In an attempt to make my thinking transparent, here are the reasons why. 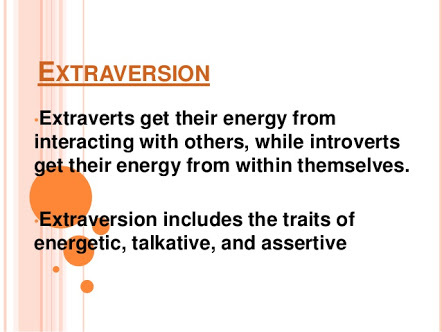 1) I’m an extrovert. Now for some, this may need no explanation, but for others, it does. In psychological testing, I am above the 88th percentile in extroversion. I need people around me. A lot! In the first part of the video below, it describes an analogy of introverts and extroverts which I just love. 2) My Love Languages are Quality Time and Acts of Service. (Gary Chapman’s Love Languages here) This means that having people around me, doing things with me or for me, charges my batteries. I feel loved and my tank is full. 3) When I am energised, I talk. And I talk. When I spend time with people, I speak. A lot. I ask questions of you and answer ones you haven’t had time to ask of me. We share of ourselves to a certain degree and we become closer. I haven’t so many friends in my life that I don’t want more. May I buy a vowel please? I can get out and do the things that seem like a good idea in my head most of the time…… and much more that has previously been in the too hard basket. However, I’m finding I’m still not as ME as I want to be, or think I ought to be. There are things I want to achieve; things I want to do each day that do not eventuate. And it causes me to question: Are these still symptoms of depression or am I just inherently lazy? For such a major part of my life; for the past 22 years; I’ve been misdiagnosed and mistreated for depression. I have struggled with all of the symptoms above and the guilt of being ‘wrong.’ Finally, last year, I referred myself to a psychiatrist who properly diagnosed me and I have been properly medicated and improving since. As I said, though, I have certain expectations of myself and my accomplishments that are as yet unrealised. Is this normal? Does everyone, especially those who are NOT depressed, feel like this? Is it just me? Have I always been a thinker and NOT a doer of my wild and wonderful ideas? I don’t have all the answers to the above. My hypotheses so far are: yes; yes; no and probably a bit, but I hope not. So now, further experimentation is required. May I buy a vowel please? I’d like an E. Are there any spare Es out there willing to be my friend? In case it sounds like I have actually lost it, I’m talking about Extroverts. I’ve been undertaking MBTI personality testing with one of my senior classes and in teaching them have learned a bit more about myself. I’m an extreme extrovert. This comes as no surprise to those who know me, but perhaps very few realise how far I swing in that direction. When I’m really ME, I need literally no alone time. During my serious bouts of depression, this flipped to barely wanting to see anyone. I would work when I had to – and ‘play’ at being my general happy self – come home and go immediately to bed. I would often pretend to miss phone calls so that I could either text people or call them when I could cope with it. This is NOT the real me. Nowadays, I ask my family members to follow me to the shower to continue a conversation in case I miss out on company time. Back to my experiment. My hypothesis is this: My motivation to do more will increase with the acquisition of an E friend who likes similar things and has/makes time for me. So I need an E please! My family love me and do spend time with me, but all 5 (actually, uncertain about Theo) of them are I people and, after a day at work or school, scatter like cockroaches under kitchen lights. They know who I am and do spend time, but, short of a roster, there’s not enough company for me. All of my close friends are I people. That’s always been the case, now that I think about it. I make plans and my friends enjoy coming along, but they don’t NEED me like I need them. Not need like clingy for emotional support, but need in terms of time. I’ve always had I friends and they don’t think of inviting someone (specifically me) every single time they think of going somewhere. Not out of spite, you understand, just because they are happy to do things on their own. So, I’d like an E friend who’d like to spend loads of time with me. The idea I have is that I will have more E time and therefore more energy. More energy equals more things achieved. What are your thoughts? Any other experiments? 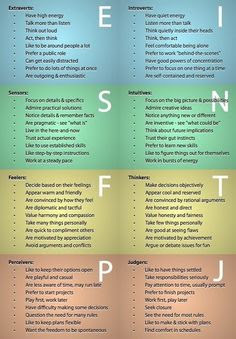 What’s your personality type and how has it affected you? I’ve had better days. I was up til 2 am and then awake with a small, bright little person again at about 5:30am. I have a cold; a floor that’s as well used as an outback landing strip; a broken vacuum cleaner; dinner and games for 11 tonight; a barking dog and a bad case of the self pitys! I feel miserable enough that I’ve made Mr 17 drive to shops with me so I don’t have to get out to buy the crackers I’m taking to a mothers’ group that’s on now. I’ve stooped pretty low. Why not stay home? Well, why not indeed? Sleep could be had. There’s always a teen to request babysitting and housecleaning services from. But I can’t. I literally can’t. You see, I’ve been afflicted or blessed (depending on the day) with an extroverted personality. I need people. I get energy from people. So to go out and be with people is more energizing to me than sleep. 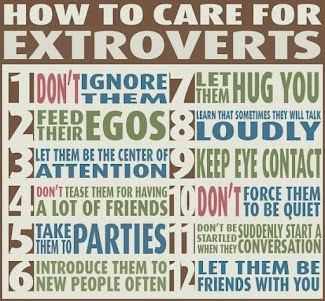 You either get it or you don’t with extroverts and introverts. It’s just one of those things. As well as being blessed with a need for people, I’ve been blessed with a husband and 4 lovely children (and a few ring-ins). All of my delightful housemates are INTROVERTS. Take a moment to let that sink in. I’m surrounded by people who need to recoup their energy by NOT being with people. More ironic than Alanis Morrisette, that one. hide dirty dishes in the dishwasher that came with our home and make play dough out of what should have been delightful mushroom risotto. We had chicken pieces and salad instead – salad purchased by a guest after slightly frantic phone call. After dinner we played numerous board games. If that’s your thing, I suggest you check out Concept, Pix and Anomia. Loads of fun had by all. And my favourite thing? I was surrounded by people, enjoying conversation, and even my introverts enjoyed the time. And if they did scatter like proverbial cockroaches when the light is switched on when the games finished? Ah well, that’s the way of it sometimes.